Isn’t she cute? This is a five day old heifer calf. She weighed about 100 pounds when she was born. 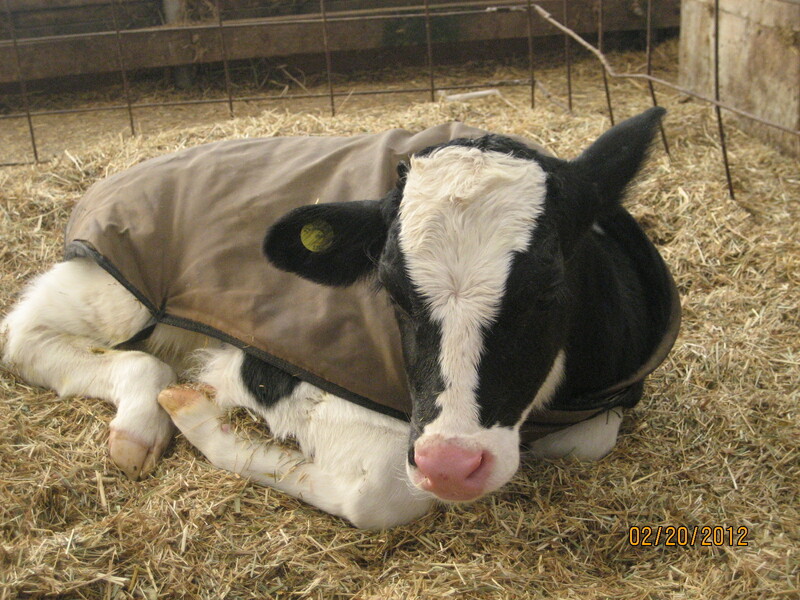 During the winter calves need to be kept warm, that is why she has a blanket on. Like most of the calves on our farm, she is from the Holstein breed. I fed calves this morning with the help of two of my brothers. Small calves like this one are fed on bottles. Each calf gets 2 bottles, equivalent to 1 gallon of milk. Our calves are housed in a special barn, kind of like a baby nursery. The calves are fed milk twice a day, and have water and grain available all day long. The care of our babies is very important to us. This heifer, like all of ours, will stay on our farm and one day will have a baby of her own.